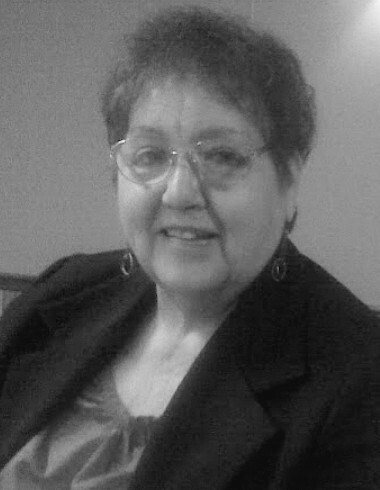 Mary Louise (Nolasco) Hyson, 78, of La Salle, passed away in her home comforted by her family on January 15, 2019. Mass of Christian burial will be 12:00 PM Saturday in St. Patrick’s Church in La Salle with Very Rev. Paul Carlson officiating. Visitation will be in the church on Saturday from 10:00 AM until time of services. The Hurst Funeral Home in La Salle is handling her arrangements. Mrs. Hyson was born in La Salle on January 21, 1940 to Ralph and Mary (Padilla) Nolasco. She married Richard C. Hyson in St. Patrick’s Church in La Salle on April 28, 1962. Mary was a homemaker. She graduated from La Salle-Peru Township High School. She was a member of St. Patrick’s Church and was a Cub Scout Den Mother. She enjoyed decorating for the holidays and cooking for her family. Mrs. Hyson is survived by her husband Rich Hyson of La Salle; one daughter Cory (Mike) Biederstedt of Peru; three sons Duane Hyson of Bell Flower, CA, Thomas Hyson of Camarillo, CA, and Rick Hyson II of La Salle; eight grandchildren Chris (Colleen) Perez, Nick Perez, Brady Biederstedt, Tawny and Jonathan Hyson, Kaelyn and Michael Hyson, and Evan Hyson; two great grandchildren Oliver and Lainey Perez; two brothers Leo Nolasco of Peru and Joe (Julie) Nolasco of Oglesby; and one sister Dolores (Bob) Lucas of Spring Valley. She was preceded in death by one brother Tony Nolasco and one sister Shirley Rodriguez.